Take your kids on a spell-binding journey of the past, present and future with Amar Chitra Katha, the ultimate story teller since last 30 years. Be it adventure books, children’s stories, audio books, coloring books, academic books, mythical tales, fun activity books, magazines get the finest edutainment books from Amar Chitra Katha at the best prices ever. 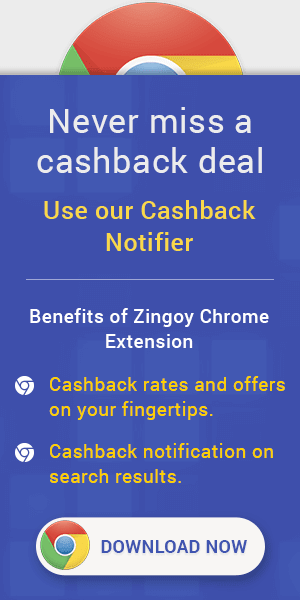 Also you can use Zingoy to find and grab the best deals on Amar Chitra Katha books, share them with others and earn plump cashback on all your purchases. Can we rethink cities as ones with walkable amenities and sprawling, connected suburbs? In this special issue dedicated to cities, writers and researchers delve into what makes cities work--and what doesn't. For the cover story, a writer and photographer spend weeks walking and trying to understand the world's most populous metropolis, Tokyo. Another feature explores the question of whether cities can be build to benefit fitness and social connections, with transit systems that curb reliance on cars. National Geographic Magazine is the official mouthpiece of the world-famous National Geographic Society and continues to be at the forefront of environmental and scientific research and ecological conservation. National Geographic Traveller India is a print and online publication that focuses on real travel for real people. The goal is to bring variety to travel, to take a new look at old destinations, to showcase fresh travel opportunities, and to highlight eco-tourism initiatives. The subscription will be processed in 2-4 weeks. Adi Shakti is considered to be the original creator of the universe. She is the power that protects and destroys. She represents the fertile, bountiful earth, and is the protector of all life form. All goddesses are considered to be a manifestation of her. The worship of the goddess has evolved over time. Local village goddesses of the forest, field, river and lake became versions of the one great female principle. Lakshmi, Saraswati and Parvati are also considered to be forms of Adi Shakti. The Devi Mahatmayam or the ‘Glory of the Goddess’, describes her as the fierce and beautiful goddess who fights asuras and wards off evil. She shields the gods against evil and stands up for the worthy. Amar Chitra Katha brings together stories of seven goddesses from the Puranas, folklore and the Devi Bhagavata. Endowed with strength, grace and courage, these goddesses show us the power of being a woman. Tinkle Magazine: Tinkle is a fun-to-read 76-page fortnightly comic magazine. Each issue contains several delightful stories, some revolving around lovable cartoon characters that feature regularly in the magazine. Every issue also contains a fascinating science or general knowledge feature, a do-it-yourself craft idea, puzzles, gags, a book review and first-hand accounts of various experiences our young readers have had. Tinkle Double Digest: Double the Tinkle! Double the Fun! Subscribe to the Tinkle Double Digest and enjoy 12 issues of the best collection of Tinkle stories and characters from the last 35 years! You get 2 issues of Tinkle magazine & 1 issue of Tinkle Double Digest delivered to your doorstep every month on subscribing for this combo subscription. The Tinkle Gift Box contains SIX MONTH TINKLE MAGAZINE SUBSCRIPTION and THREE TINKLE DIGESTS. Free Shipping Above Rs 500. Secure & Safe Shopping. Offer Is Limited. Buy Tinkle Double Double Digest 6 at Rs.225. Free Shipping Above Rs 500. Secure & Safe Shopping. Offer is Limited. APJ Abdul Kalam, a man who reached unimaginable heights but never forgot his roots. A man who brought his own brand of excellence and humility to everything he touched. A teacher, a writer, a poet, a visionary, a world-renowned scientist and the 11th President of India. Read about his life in Amar Chitra Katha's APJ Abdul Kalam - When Dreams Take Flight. Amar Chitra Katha Cashback Offers & Coupons : Now get Upto 50% Off on Stories, Comics, Books & More at Amar Chitra Katha. Shop from wide rage of products at best price.